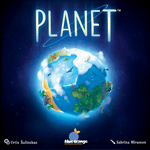 • Blue Orange Games plans to release Urtis Šulinskas' Planet in North America on April 22, 2019, a.k.a. Earth Day. The game debuted in Europe at SPIEL in October 2018, and you can check out an overview of this world-building game here. • That same month Arcane Wonders will release the Necromancer Expansion for Mage Wars Academy so that someone can command the "legions of undeath" and sic plagues on their opponent. • Village Pillage is a 2-5 player design from Peter C. Hayward, Tom Lang, and Jellybean Games in which players play one card in hand against each of their neighbors at the same time, after which those cards resolve: farmers produce turnips, walls block raiders, raiders steal turnips, and merchants either add new cards to your hand or help you purchase a relic. Cards then return to your hand, and you do it all over again until someone claims their third relic and wins. 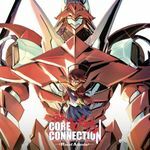 • Core Connection: Rise of Atlantis is a deck-building game from Japanime Games in which you pilot and upgrade a giant mecha to "free society from the tyrannical reign of its oppressors". Seems like a worthy goal. Core Connection: Titans Unleashed, due out in June 2019 following the base game in April, adds more cards to the base game. • Mary Flanagan and Max Seidman's Visitor in Blackwood Grove, which debuted in the U.S. from Resonym as a Target-exclusive title in mid-2018, reaches regular distribution channels in Q2 2019. This game is a two-vs.-all affair in which an alien visitor creates a rule for which items can pass through the forcefield around its ship and the child that's befriended the alien must figure out this rule before secret agents can do so. We recorded an overview of the game at Origins 2018, and it gives a good idea of how the game works. 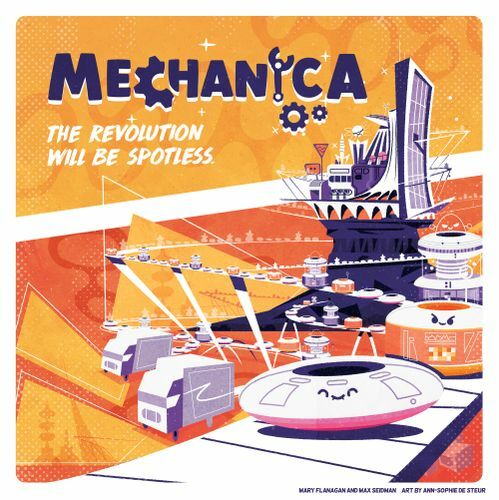 • The next title from Flanagan, Seidman, and Resonym — with co-design credit for Emma Hobday — is Mechanica, a 1-4 player game in which you acquire puzzle pieces to upgrade your factory to create more and better Tidybots, which earns you money, with which you will further upgrade the factory to earn even more. Speaking of which, Mechanica is being funded on Kickstarter through March 3, 2019, with an expected delivery date of Nov. 2019. • In March 2019, U.S. publisher R&R Games will release Hanabi Deluxe II, which like the original Hanabi Deluxe from 2013 will replace the cards from the original Antoine Bauza co-operative game with Mah Jhong-style tiles, but this edition also includes six unique tiles that comprise the "Master Artisan" expansion. • Ringmaster: Welcome to the Big Top is a quick-playing card game from Justin Gary and Stone Blade Entertainment in which players lay down circus stars and attractions in front of themselves; sideshows in front of opponents; and events in the discard pile after carrying out their effect. Each player's winning condition is determined by the cards that they play, with opponents likely messing up your acts during play.